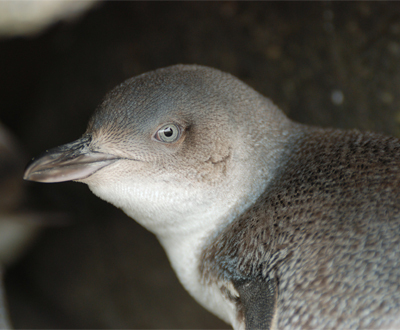 Pohatu Penguins is a family-run business with a long standing history of protecting the Korora (Little Penguin). The colony survival is accredited to Shireen and Francis Helps whom have cared for the penguins for 30+ years. When the Helps first began their conservation work the penguins faced massive challenges that threatened their very existence. These challenges included predation via introduced predators such as dogs, cats, ferrets and stoats, gill net fishing and other human disturbances. Colonies around Banks Peninsula declined at an alarming rate and most disappeared altogether. Through predator trapping, monitoring, rehabilitation and immense dedication the Helps have stabilized the Pohatu Colony - and it continues to grow! In addition to their penguin conservation work the Helps family have also, for many years, protected native forests and other endemic species. Their dedication is an inspiring example of what one family can do and they have won many awards for their work in penguin and habitat conservation and also helped found the award-winning Wildside Conservation Project. To this day, the Helps family continue to be leaders in conservation! Their efforts continue to be fully self-funded via Pohatu Penguins’ tours. When purchasing a tour you help our Little Korora!